I am coming round to a ‘Do Not Waste It’ mentality, and am actually becoming allergic to discarding a scrap of food from the kitchen. This is mostly due to AlphaMale regularly rummaging through the fridge and tutting at the rotting vegetation that used to be found lurking somewhere between the shelves. 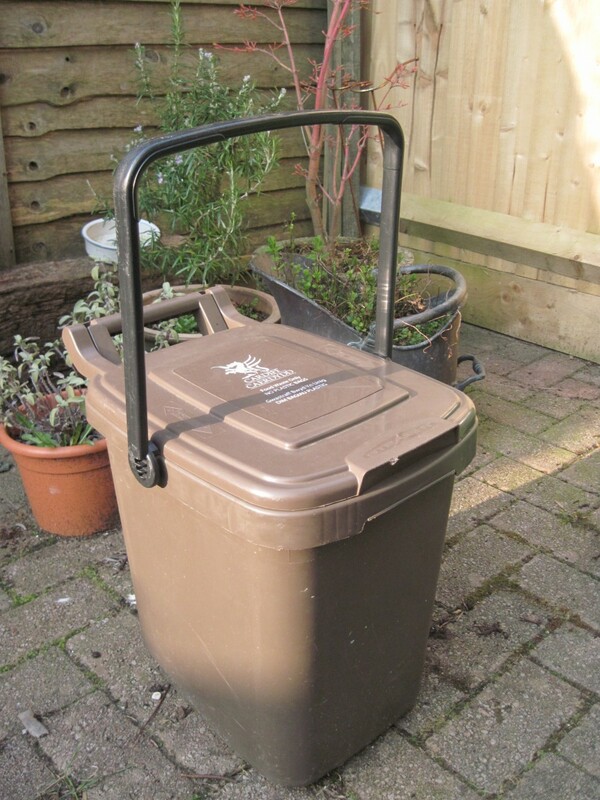 My weekly shopping now consists of a list of ingredients that can be used in a multitude of recipes, thus ensuring that my dinky little council food recycling bin is only used for essential waste such as vegetable peelings, bones and egg shells. I know, I know, I should be composting. Technically I am, but the compost bin I bought was put outside the back fence on an unused scrap of field, and has disappeared under the brambles. Its resurrection is on my To Do List. Anyway, today’s Waste Not Want Not dinner is looking – and smelling – superb. Let’s begin at the beginning. 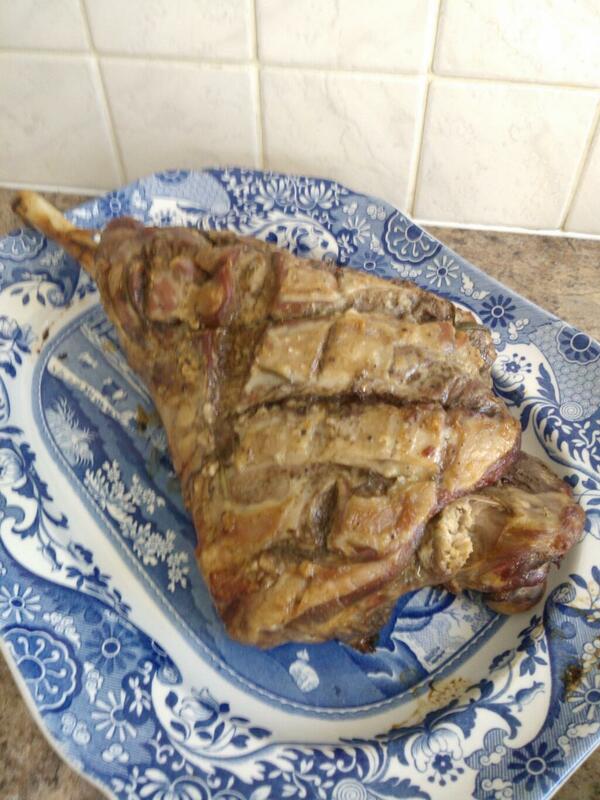 Yesterday we had a slow-cooked, garlicky leg of lamb, courtesy of my genius cook-baker-maker of delicious morsels- and utterly gorgeous Twitter buddy, EnglishMum (the link is on my on-line recipes side bar). The lamb was in the oven for four hours, and rested for half an hour and was amazingly melt-in-the-mouth, and quite possibly the best roast lamb I have ever cooked. However, there was a fair bit of meat left over. We are not fans of cold cuts of lamb, and following a roast, I really couldn’t face a shepherd’s pie, which is really just a mushed up roast diner. So I have made a left-over lamb tagine. I figure that if I made it early and left it to sit all afternoon, the lamb would soak up loads of the spice flavours almost as well as if it had been cooked from raw. I shall let you know in due course. 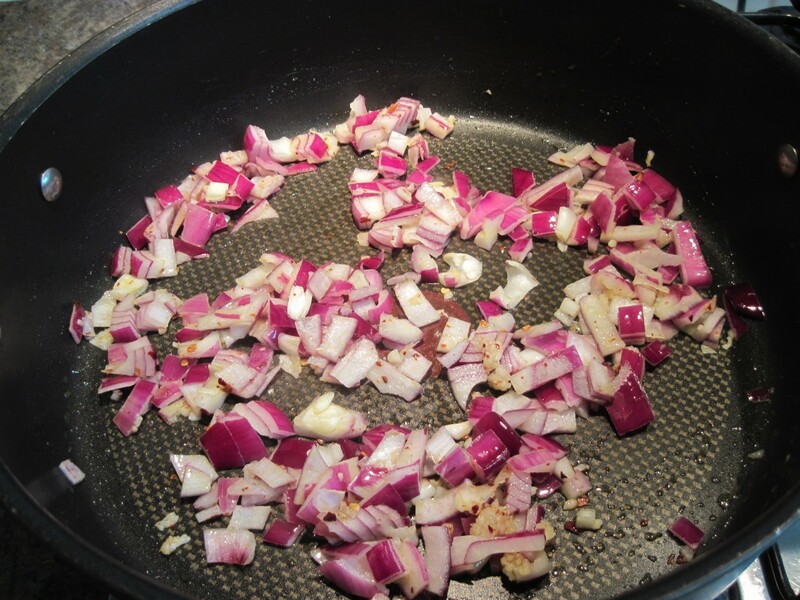 Heat the olive oil in a large pan – my trusty Jamie Oliver pan yet again – or use a tagine if you have one. 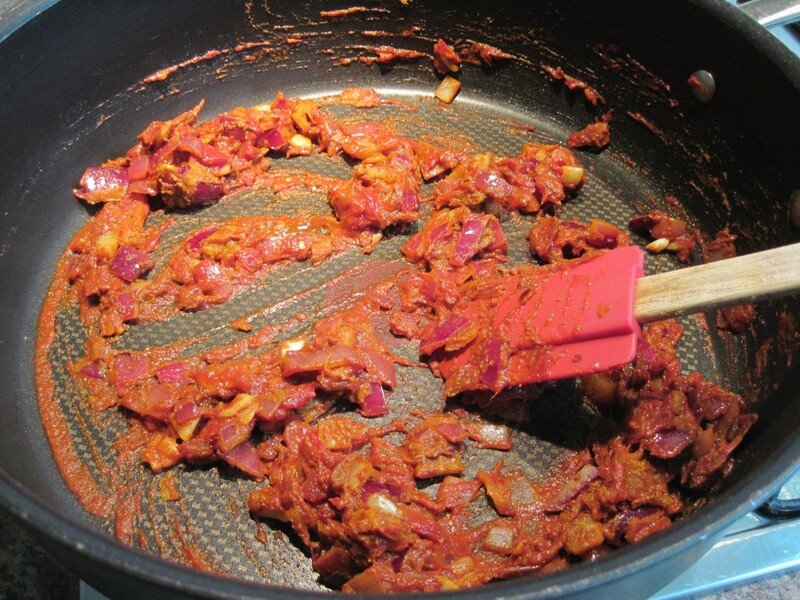 Fry the garlic, onion and chilli flakes gently, without browning for 10 minutes. Add the spices and a little liquid from the chickpeas, stir well and cook for 1 minute. 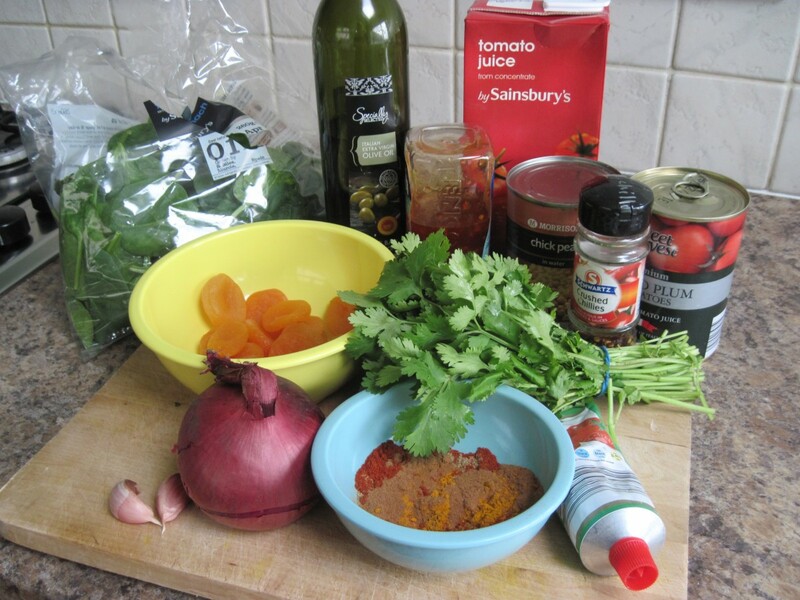 Stir in the tomato puree, honey and the tinned tomatoes. Cook for 5 minutes, then add the apricots and the cold lamb. Pour in the chickpeas and remaining liquid and add half a pint of stock. Stir in half the chopped coriander. Season and bring to the boil. Reduce the heat and simmer for 15 minutes. At this point, I left the tagine to cool, to allow the flavours to really penetrate the meat. I shall be reheating it in about 3 hours time, when I shall stir in the spinach, add the remaining chopped coriander, and serve it with cous cous. Watch this space for a flavour update! I can now confirm the tagine was utterly delicious. The meat had taken on loads of flavour, although as suggested by the lovely @rachelradiostar, it might improve even more with a little overnight delay – if you can bear to wait that long that is! That sounds delicious. 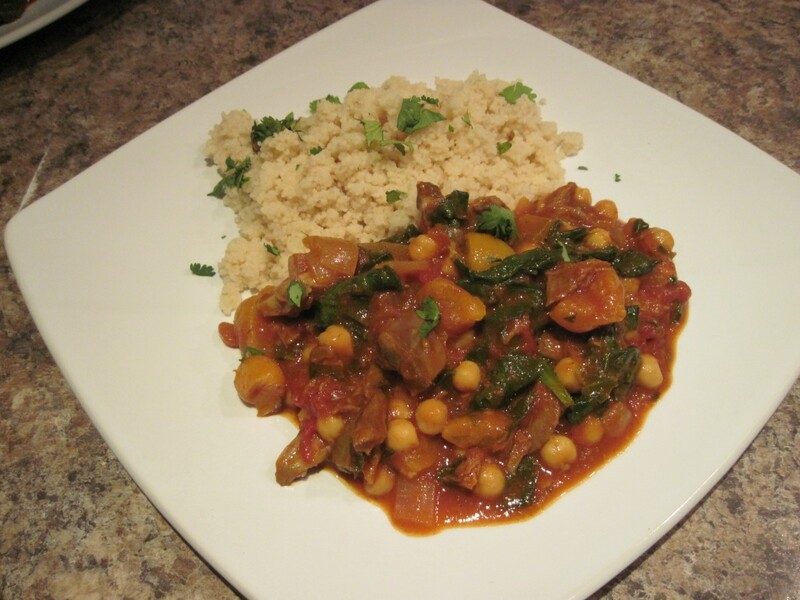 I bet the tagine would improve being left overnight before reheating too. You know how stews taste better the day after? My mouth is watering now!! How many people did it feed? Sound delicious and I have a little leftover lamb to use….. 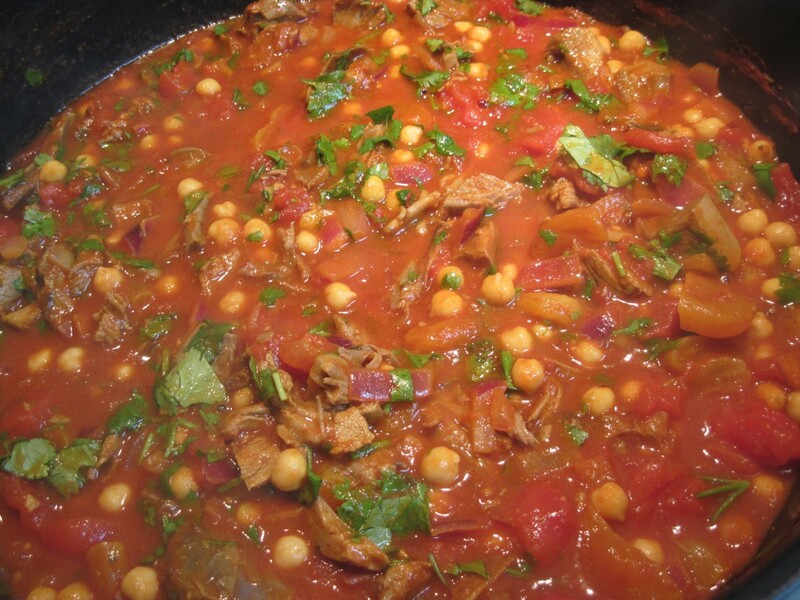 I bought a tagine yesterday and was so desperate to use it I plowed straight ahead with a made up recipe very close to yours also using left over roast lamb. So, so good! I’m just finishing it up for lunch while telling myself how clever I am 😉 while taking a little internet cruise to pick-up more inspiration. Hope you’re still enjoying making things with yours and coming up with great new ideas.